East Hostel all in the center of the center of Bucharest; 20 clean and comfy beds available in a Double-Bed and a Twin Private Room, a 6-Bed and a 10-Bed Dorm. A laid-back Guest Lounge in the hostel basement to hang out with fellow travelers - an in-house bar will be happy to assist. All rooms are lockable; the dorms are complete with individual spacious lockers. 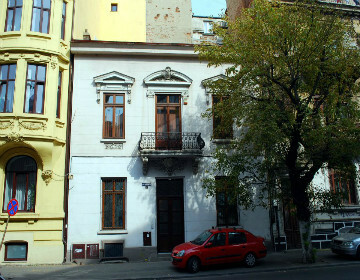 Bucharest Tips team has reviewd East Hostel - Hostels in Bucharest. You can get here description, reviews, address, map, phone, website of East Hostel in Bucharest. Visit Buchareset Tips for more Hostels in Bucharest!